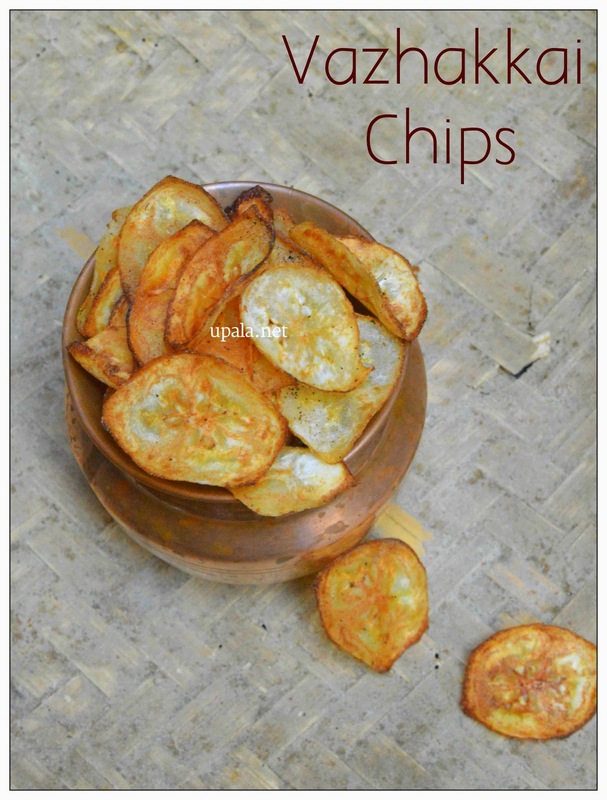 Vazhakkai chips/Raw Banana chips is a tasty chips which is easy to make too. 1) Dry roast pepper in a kadai till nice aroma arises. 2) Let it cool, then grind to fine powder by adding salt. 3) Wash and trim the edges of Raw banana. 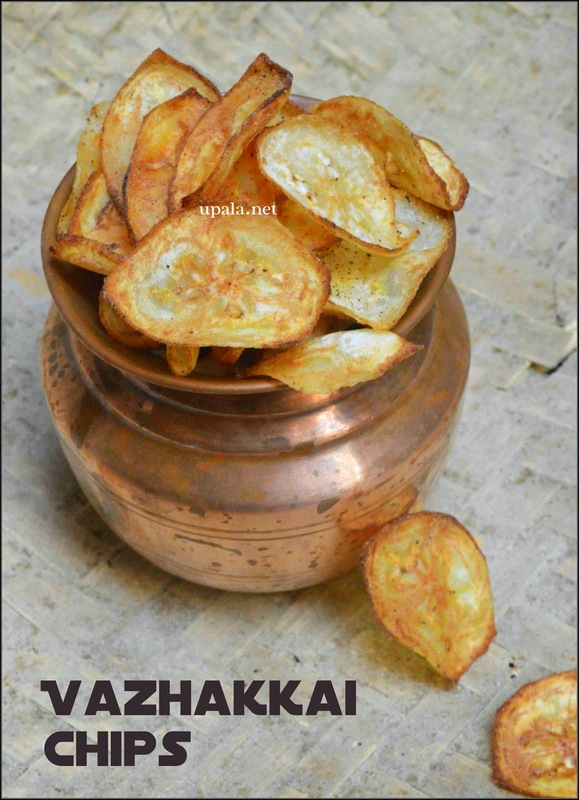 Scrap off the outer green skin of Vazhakkai with the help of peeler. Cut the Raw banana into two pieces and keep it in water. 4) Heat oil in a kadai and first slice one piece using slicer. When you drop this piece in oil and it should rise to the top immediately. This is the correct heat of oil. 5) Now simmer the flame to low and start slicing the banana directly in oil after slicing increase the flame to medium. 6) Let it get fried one side and flip it over to cook the other side. Leave it to cook till the bubbles and sshh sound stops. 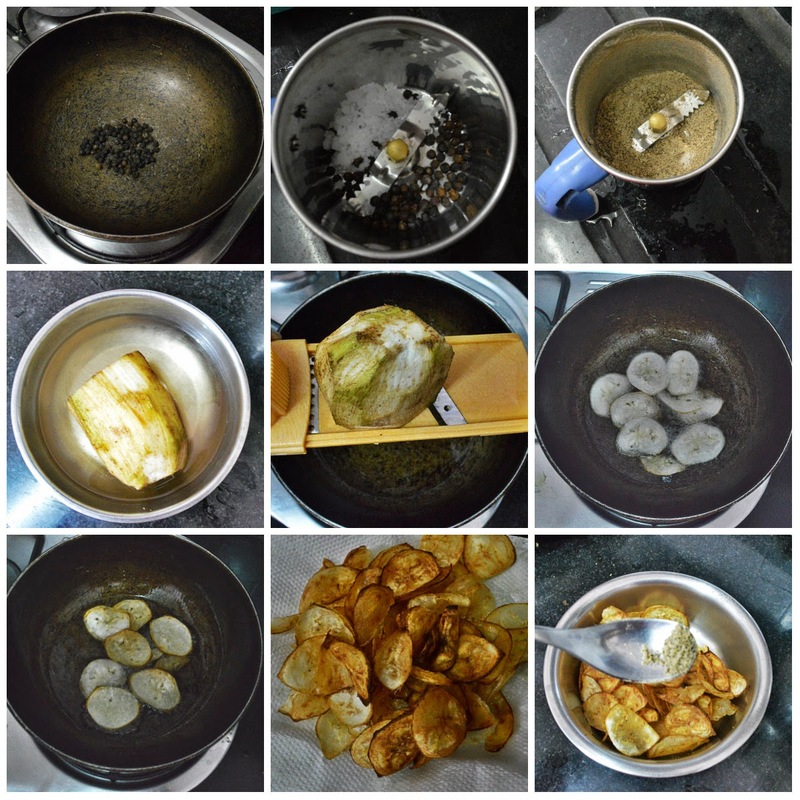 7) Remove it from oil and drop it on paper towel to drain excess oil. 8) Do this frying in batches and drop them on paper towel. Transfer the chips to a bowl and add pepper powder (as needed) and mix well. Tasty chips is ready and store it in an airtight container. 1) Make sure the sliced pieces should be thin and even. 2) Oil should be really hot to get nice crispy chips. 3) You can also replace pepper with Red chilli powder.